The infamous Great Firewall of China bans many popular services like Google, Facebook and Twitter. This makes the people who live in China need to use VPN to unblock the firewall and access free Internet. Unfortunately, not all VPNs could work well in China, so here are some of the most reliable VPNs that you can use. Related: 3 free iOS VPN apps that work in China. You need to have correct expectation before and after buying the VPN subscription. Not all VPN services work in China. Internet Service Providers (ISP) will block the regular VPN protocols like Layer 2 Tunneling Protocol (L2TP) Point-to-Point Tunneling Protocol (PPTP). Single service may not work on all devices using Windows, macOS, Android and iOS. Though the service providers offer hundreds of VPN servers, hardly few works in China. The government will block the services when holding important national congress meetings and on national holidays during first week of October. None of the VPN sites will open in China; you need to check whether the company offers a mirror site accessible in China. Also remember, Apple removed all VPN apps from Chines App Store. So you need to install the app on your iPhone using different App Store country other than China. Related: 5 reasons to use VPN in China. ExpressVPN is quite popular in China and top pick in our list. We are using the service for the past 3+ years with good connectivity. It bypasses the Chinese Internet restrictions consistently and promises good performance. There are many mirror sites to get the China connectivity status and the support team will quickly help in fixing the connection. Though ExpressVPN offers about 160 server locations across the globe, you can only connect to few servers from China. Also they have many servers located near China, such as Hong Kong, South Korea, Taiwan, Vietnam, Japan and Thailand. The close proximity of these servers ensures more reliable connection and faster connection speeds. ExpressVPN is taking privacy really seriously with strict no logs policy and advanced security features. The customer support team is available in multiple languages. It also promises 30-day money back guarantee with no question asked. With more than 700 servers at 70 locations, VyprVPN offers great balance of security and speed. It uses Chameleon, which is a proprietary security protocol. It bypasses VPN blocking and scrambles OpenVPN metadata, so the connection will be safe from inspection. VyprVPN only uses servers that it owns, so solid performance and reliability can be assured. Many of the servers are located in Asia and users in China can ensure good overall performance. VyprVPN app for mobile devices works quite well and the service offers 24/7 live chat. Unfortunately, the Chameleon feature isn’t available for basic plans. Your best bet is to get the Premium Plan, which requires annual payment. Ivacy is a Singapore-based VPN that bypasses online bans in China. Ivacy allows torrent downloads and it also unblocks Netflix US. It performs well in speed tests and uses nearly 500 servers located in fifty countries. Ivacy ensures secure connections and it keeps no logs. It supports split tunneling which allows users to choose which website that goes through VPN or direct connection. Ivacy program and app support Windows, MacOS, Android and iOS. PrivateVPN evades restriction using the “stealth mode” feature. It creates an obfuscation layer that makes encryption connection looks unencrypted. This will make PrivateVPN connection harder to detect by the Chinese online authority. It’s a good solution to unblock region-locked content, such as BBC iPlayer, Hulu and Netflix. PrivateVPN supports solid security and it doesn’t store user’s online activities. Should you encounter any issue, the live chat support should be available during work hours. PrivateVPN can be connected up to six devices simultaneously. It also supports Windows, MacOS, Android and iOS. Related: 5 things to remember before buying VPN in China. Astrill is a fairly popular VPN service in China. For just a few dollars, you can get a family plan that’s connected to multiple devices. Astrill has easy to use program that can be connected to full VPN connection or simple HTTP. So, users can switch swiftly between VPN and regular connections. Data speed is solid enough to allow video streaming, but make sure to choose a server with lighter load. Astrill subscribers can get many more server locations to choose from. Chat support team and live phone are available. Astrill can be expensive if you choose to get many optional add-ons. It supports Windows, MacOS, iOS, Android and Linux. NordVPN has a comprehensive network with more than 5000 servers at 62 locations. It works well not only in China, but also Iran, Saudi Arabia and other countries with restrictive online connection. 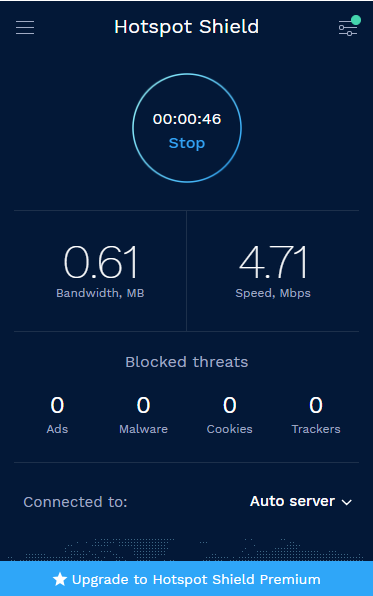 NordVPN monitors connection constantly and it responds to any new blocks. For better performance, users can choose servers located in nearby areas, such as Hong Kong and Japan. The close proximity of servers ensures higher speed and better stability. Live chat isn’t available 24/7, but online queries are usually answered. NordVPN offers free 7-day trial and 30-day money back guarantee. PureVPN has a lot of experience in the industry; it is already ahead of the game. The service adds new servers in recent years with 120 of them located in Asia. A few are even in China. PureVPN offers very simple interface for beginners and users won’t complain with how easy it is to use the service. It even has configuration to optimize the service for users located in China. In support pages, you can find tips and tricks for users in China. Related: How to connect VPN in Windows 10? The Hungary-based VPN service is easy to set up and the provider offers a special program for users in China. However, the software is only available for desktop PC users, not for mobile devices. Buffered VPN has some Asia-based servers with speedy and reliable performance. The service also offers 24/7 technical support to deal with issues. Windows users can perform Test Firewall procedure to show all available port. This will help advanced users to get pest the pesky restrictions in China. 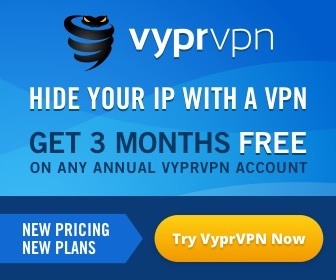 Compared to other VPN services, Buffered VPN is relatively expensive, but you can get the 30-day money back guarantee. Hotspot Shield VPN is known for its super-fast server network. It works really well in China and can effectively unblock many websites. Hotspot Shield VPN has good focus on privacy and it employs military-grade encryption. Users also get advanced security protocols and multi-platform compatibility. However, be aware that Hotspot Shield VPN keeps partial logs, which may not be acceptable for security conscious users. Windscribe has many servers across the world. The free version of Windscribe VPN restricts access to certain servers. However, free users in China can still use servers located in Hong Kong. Windscribe VPN employs very strong encryption and it maintains no-logs policy. With R.O.B.E.R.T. feature, malware infection is prevented. Windscribe VPN has good compatibility across many devices.